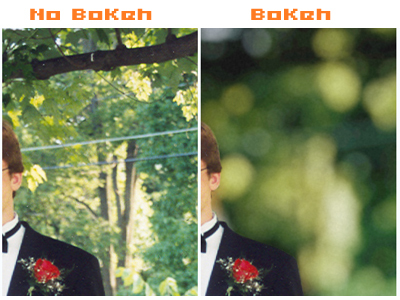 Bokeh is a photography effect that creates strong light blurs on any out of focus light, frequently rendered as circular blurry elements where a point of light is visible in the image. You’ll see it often in professional photography as well as more abstract artistically oriented photography, and it can help to create a depth of field and also add some very unique character to photos. But bokeh isn’t just for professionals with expensive lenses and DSLR cameras, you can get that same effect shooting with an iPhone as well. We’ll cover two easy ways to do it, one uses nothing but your iPhone, and the second uses the excellent third party lens attachment known as Olloclip. The simplest way to create bokeh effect on all lit elements of a picture are to utilize the iPhone cameras software focus lock feature. Keeping in mind that focus lock is also exposure lock – you can’t separate the two with the standard iOS camera, yet at least – you’ll want to focus lock on something that is roughly the same exposure, particularly when shooting in daylight. For shooting night photos, the exposure lock is less important, though the depth of field remains crucial. If the focus lock bokeh trick isn’t enough for you and you want more professional quality pictures, you’ll need to step it up and get a third party lens for the iPhone. The Olloclip is our lens of choice for this purpose, it includes three lenses: a macro lens, a wide-angle lens, and a fish eye lens. For the purposes of creating very strong bokeh, you’ll want to use the macro lens. If interested, you can get an Olloclip detachable lens from Amazon at a fairly sizable discount.